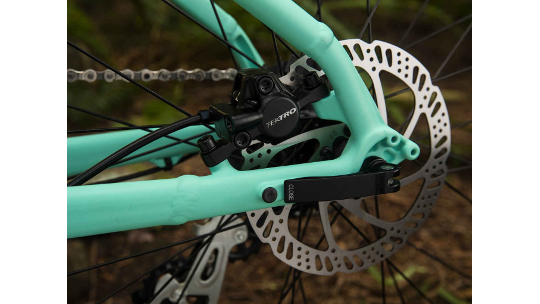 The Marlin 6 Women's specific frame and geometry comes a step above the Marlin 5 comes kitted out with the addition of Shimano Altus and a 32 tooth cassette that ensures you have a great range of gears for differing landscapes. As well as this you will also find the Marlin 6 has an improved fork, increasing the overall quality of suspension as well as its durability. 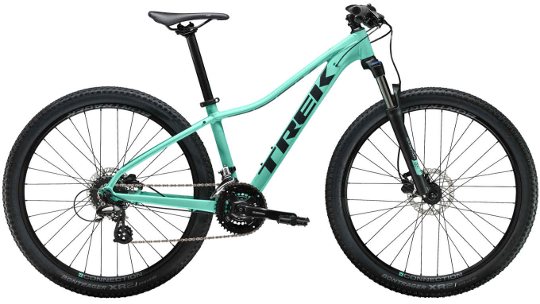 The Marlin range, Trek refers to, as a "real mountain bike". Instead of having poorly welded aluminium that has been painted and sprayed over Trek have provided the same lifetime guarantee backed frame quality that you would expect from their entire range. Alpha Silver Aluminium is tough and stable enough to take all the trail has to throw at it yet lightweight enough to make sure you aren't slowed down when climbing the ascents. 100mm of suspension takes the pinch out of the trail as well as making your route to work that much more comfortable on the British quality of road that we have all come to know and love. Finally, the Marlin is compatible with cargo mounts for travelling with work wear or kit and hydraulic disc brakes make braking extra smooth and reliable even in challenging weather conditions. 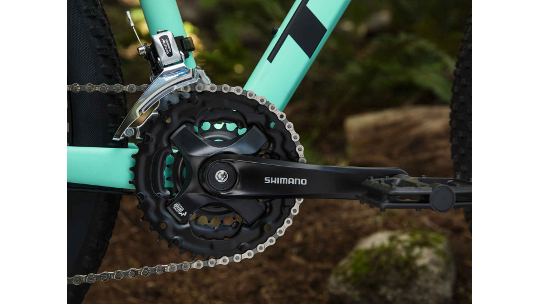 The heart of Marlin 6 is a lightweight Alpha Silver Aluminium frame with internal derailleur routing. 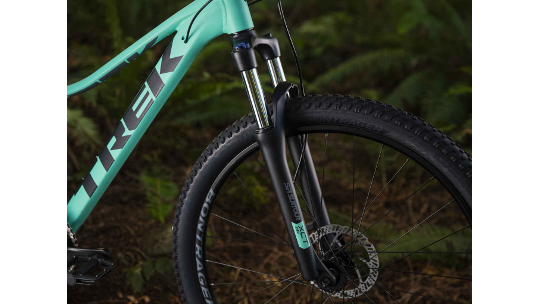 It has 24 speeds, a wide-range cassette so you can always find the right gear for your terrain, hydraulic disc brakes that feel smoother than mechanical disc brakes and a 100 mm suspension fork with a lockout feature – that's the same amount of travel favoured by most cross-country racers.